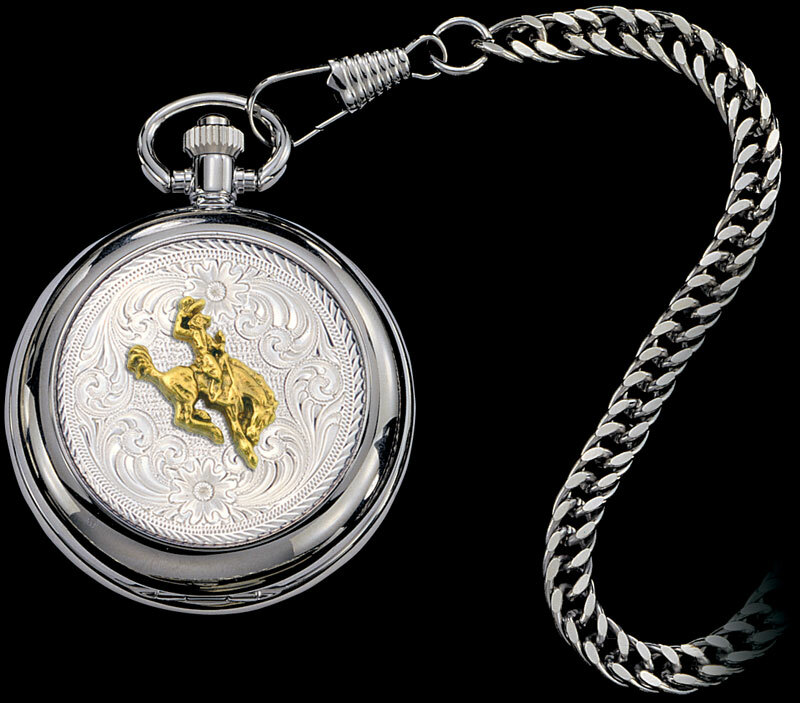 Bucking Horse Pocket Watch by Montana Silversmiths. 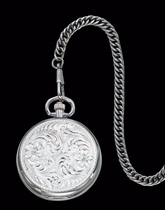 Engraved silver silver pocket watch with a high quality, electronic quartz watch movement by Citizen. Features a sculpted gold ranch rodeo bucking horse figure. The Bucking Horse Pocket Watch is made to order so please allow 4 - 6 weeks until shipping.